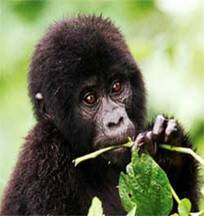 This safari as well features the mountain gorillas of Bwindi Impenetratable Forest and winds up at Lake Buyanyi, an excellent resting point the strenuous gorilla tracking. Depart Kampala and drive to Mbarara on a good tarmac road. Along the way, stop at the Equator and watch local drum makers and take pictures of the Ankole Long Horned Cattle. Dinner and overnight at Regency Lakeview Hotel Mbarara. After an early breakfast depart for the Mountain Gorilla Sanctuary of Bwindi arriving in time for lunch at the tracking base. Afternoon, take a self-guided walk around the camp along the Munyaga River before returning for sunset views across the Bwindi Forest. Dinner and overnight at Gorilla Forest Camp. Early morning breakfast then transfer to the base of the mountain for a briefing before starting the gorilla trek, taking between 30 minutes - 8 hours to find the Mountain gorillas. The tracking starts at the area where the gorillas were the previous day. After a full hour with the gorillas, return to Gorilla Forest Camp for dinner and overnight. Breakfast at Leisure, before departing for Lake Bunyonyi believed to be one of the deepest crater lakes in Africa. 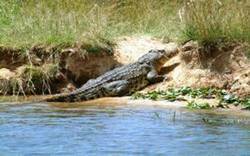 In the afternoon, take a canoe ride or do some Cray fishing around the evergreen islands. Meals and overnight at Farout Island Camp. After breakfast depart for Kampala in time for lunch at the Gallery Cafe. Drop at your hotel or transfer to the airport for onward flight.